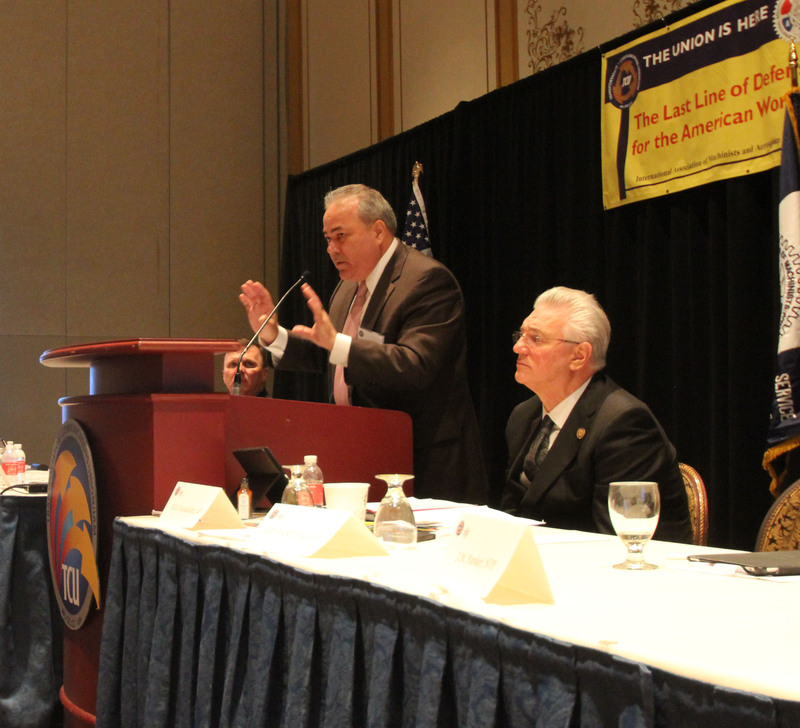 A recent meeting of TCU/IAM Local Chairpersons presented the attendees with information vital to take back to their Locals. With a packed agenda for Clerks, Carmen, Supervisors and all other crafts within TCU and breakout sessions with the Unit National Reps each attendee was given information that will continue to make TCU a more effective union. 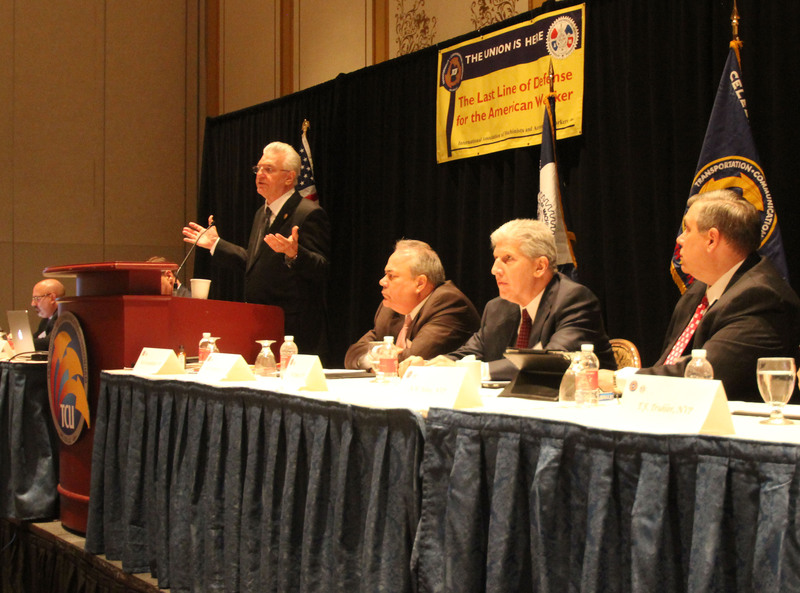 The topics for the Conference were; Collective Bargaining and recent bargaining successes, How MNPL effects our jobs, Updates on major happenings in Freight and Passenger rail, FMLA, Whistleblower Protection and the FRSA and the current finances of the union. 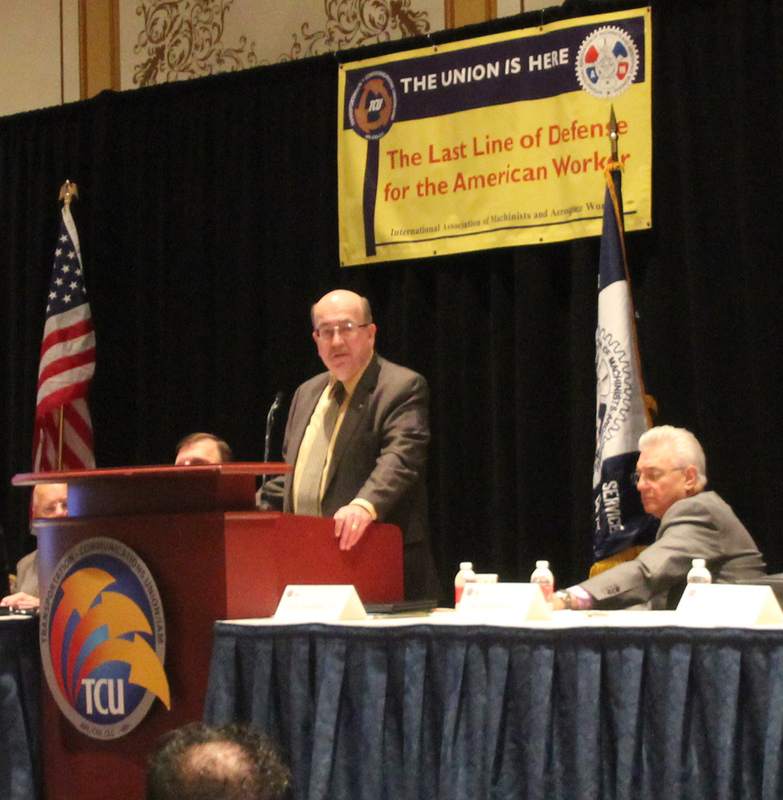 The Conference was addressed by TCU President Bob Scardelletti, IAM President Tom Buffenbarger, RRB Labor Member Walter Barrows, IAM General Secretary-Treasurer Robert Roach, IAM General Vice President Sito Pantoja, IAM General Vice President Bob Martinez and from TCU; National Secretary-Treasurer Russ Oathout, National Vice President Joel Parker, National Vice President and Carman General President Rich Johnson and National Vice President and National Legislative Director Ron Kloos. Click here to view the new TCU Benefits sheet.